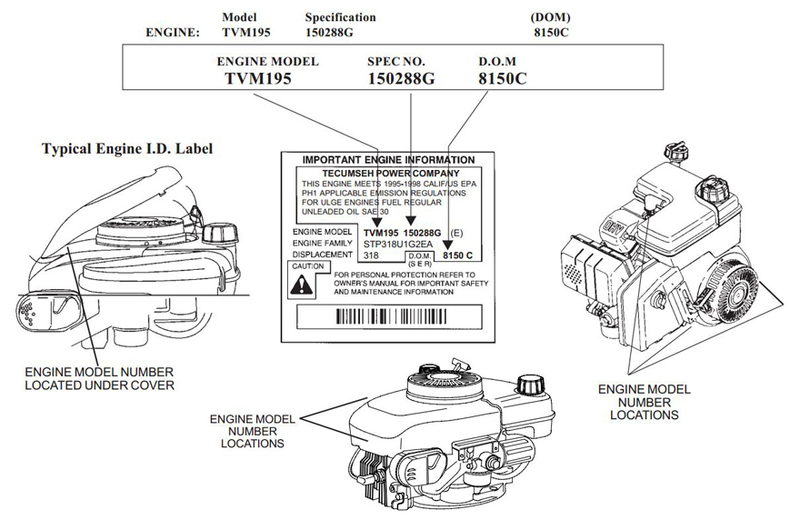 The information below will help you locate and read the Tecumseh Engine Model and Specification information on your engine. 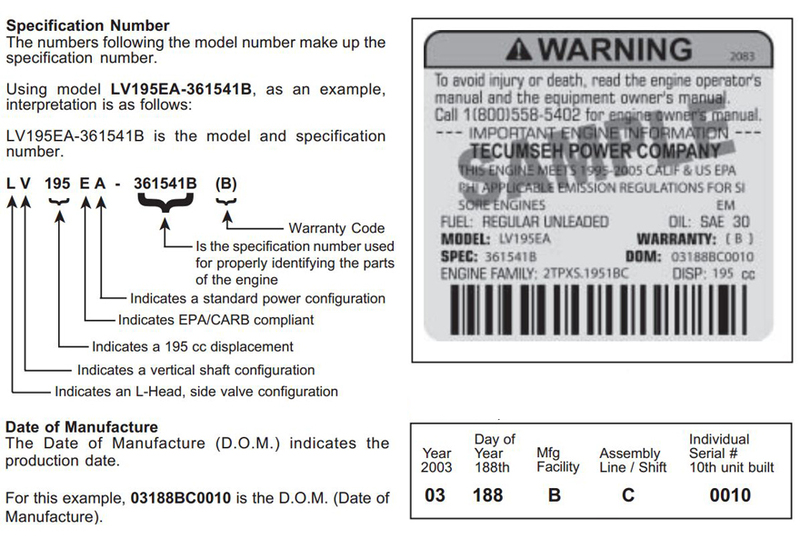 Tecumseh made changes to the engine ID label effective with the 2004 Model Year. The information below explains the information contained on the label dependent on the age of your product.